Personally, I love cycling around a city; it’s the most functional mode of transport I’ve found, and by far the most appropriate when I want to get from A to B quickly and still look fresh(ish). But when you have the opportunity, there’s nothing better than taking yourself home on foot. 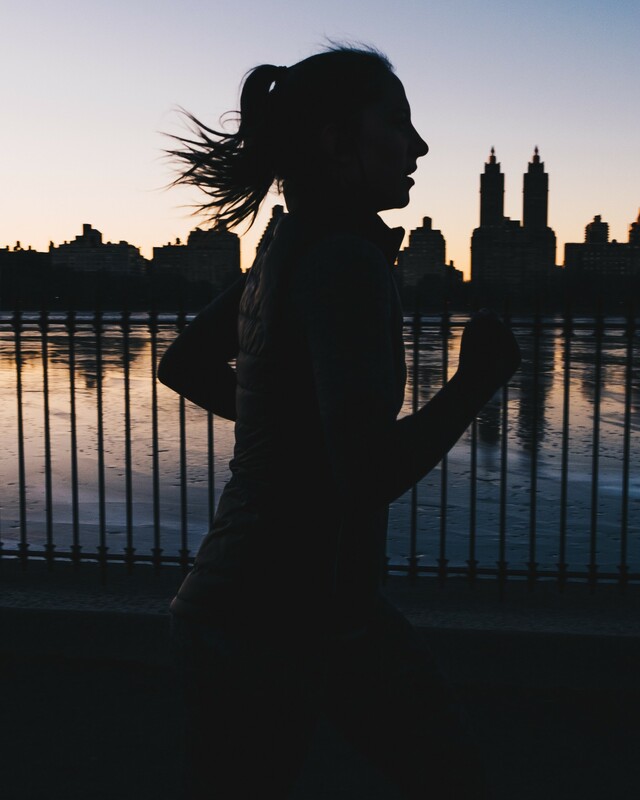 A run across the city after a long day gives you so much space to clear your mind without having to worry about traffic lights or overly congested roads. Find a quiet route, and it becomes a post-work meditation, shaking out all the tension from the day. Of course, just like cycling, there are rules of the pavement. Don’t overestimate your ability to squeeze through small gaps between people at speed (I’m guilty of this...), try to give people warning when you’re about to pass them on a crowded pavement, and please (even in London!) 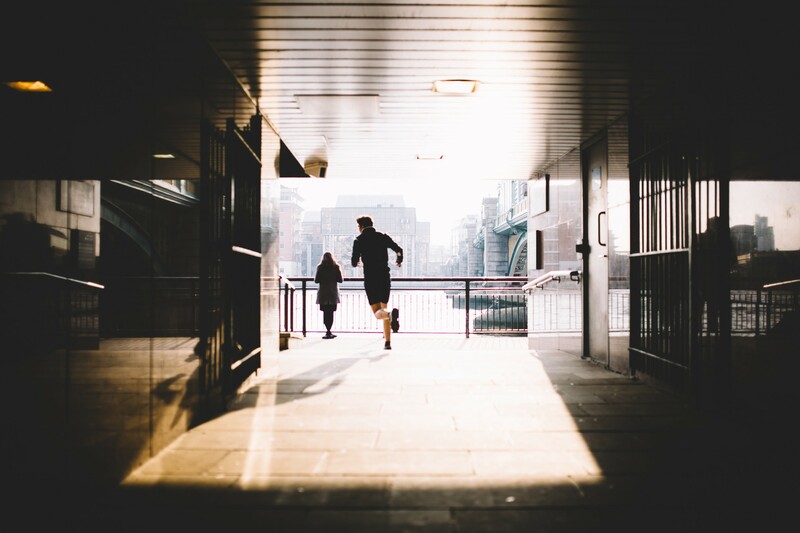 support your fellow runners with a hint of a smile when you cross paths. 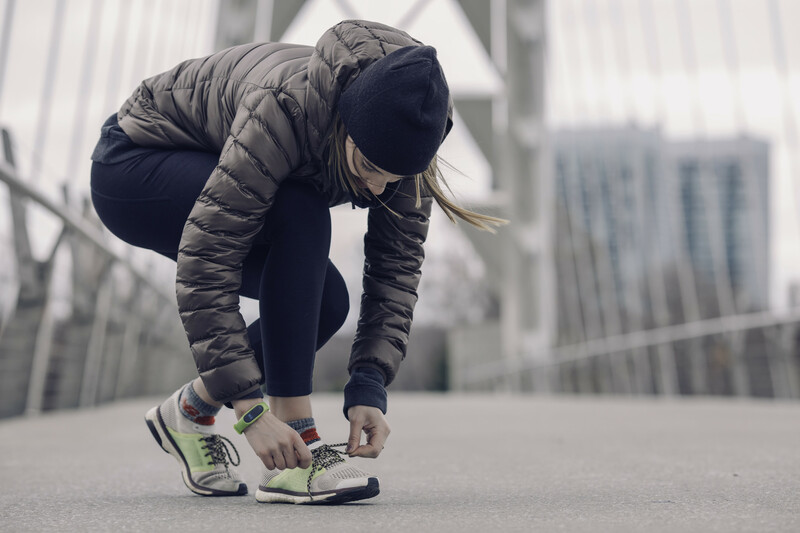 Once the winter months descend, there are a few more considerations for your run commute. Visibility becomes so important - when you share a space with people going at different speeds, glued to their mobile phone screens, or oblivious to anyone else with their noise-cancelling headphones on, you have to rely on several different methods. 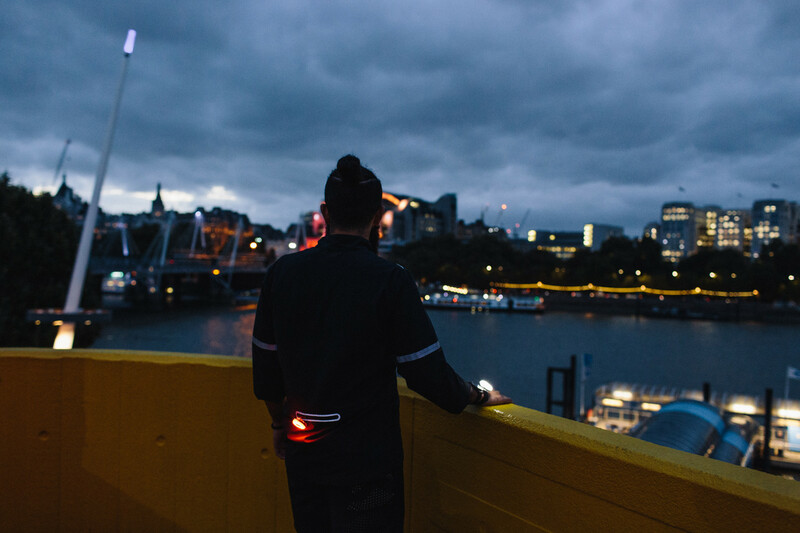 Our friends at The Running Channel put together a great video on How To Run in the Dark, covering the different types of specialist visibility clothing and lights you can wear. Personally, I clip a Pixel light to my backpack (set to red, of course), and another to my headband (set to white). It’s enough to make me feel safe running along the scarcely lit canal, and confident that a cyclist coming from either direction will give me passing space and not send me flying into the water. However, running with a light for visibility is only something I came to recently. I grew up in Scotland running trail, which meant many a dark evening out on the hills. Our running leader always encouraged us to go without lights, so our eyes would better adjust to the dark, and our feet would get better at scoping out the path. It really worked, and I still love a night run on the hill with only the city’s light to guide me. But when I started run-commuting, I realised the different challenges of urban running. You want a route that keeps you running on smaller roads for better air quality, but as they tend to be poorly-lit, you need to up your visibility game. Don’t let the winter months put you off run commuting - if anything, this is the time to get started, as the mince pies and mulled wine starts being served. An average commute in the UK is 14k; if you ran it, you’d burn upwards of 600 calories, which must be at least two mince pies? If anything over 5k feels a bit too much, you could start running a section of your commute; to the train station or bus stop. Pick the most scenic and safe route, and start to enjoy the benefit of an active commute. We promise, you won’t look back. The Beryl Pixel is now available to buy here.